Eleven years ago it was designated a national-level historical and cultural town and is reputed for the ancient architecture that has been well preserved in its many old buildings. Nevertheless, the town's leaders have made an attempt over the past 40 years, in line with the country's economic opening up, to make something of its cultural assets, and it has become a model in Yunnan for its promotion and management of cultural and ecological tourism. Heshun is about 5 kilometers west of the county town of Tengchong and as you approach, you will see that it spreads over a slope that rises gently from a river that is like a sparkling welcoming mat in front of the town's main gate. 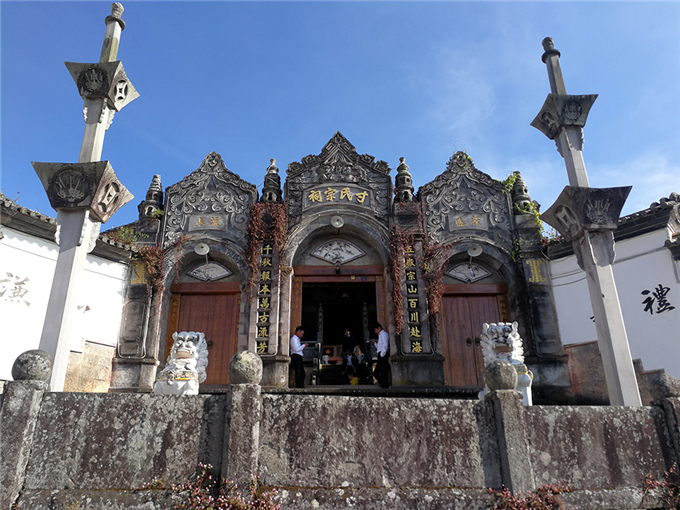 The narrow streets and lanes of Heshun are replete with architectural structures, including ornately decorated archways and ancestral halls, temples and former residences of the area's wealthy families. Wanlouzi, or the "bent house", is one of them. It is one of the eight most famous scenic attractions in town and is a great example of local architecture. It is a well-preserved complex that consists of three courtyards covering nearly 1,200 square meters. Its nickname derives from the fact that it was built to align with the curves of the lane in which it is located.